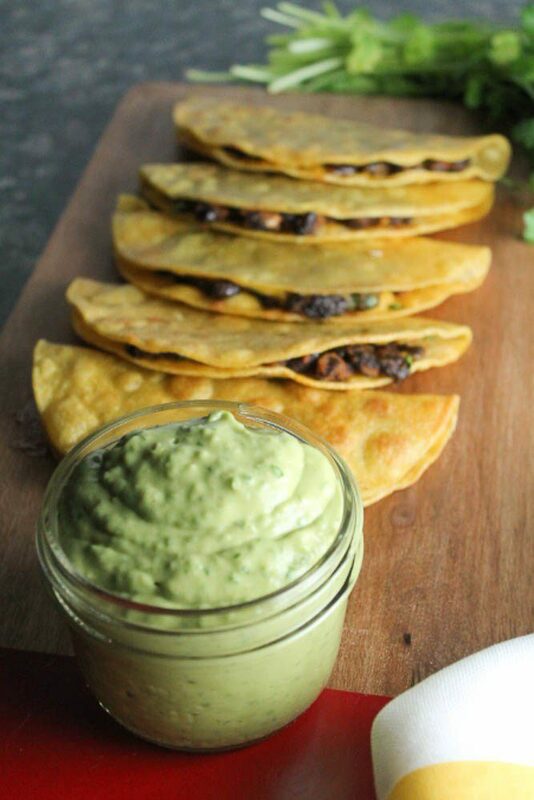 Meet my new obsession: Crispy Black Bean Tacos with Avocado-Lime Sauce. Born out of my favorite Best Ever Mexican Black Beans, this meal is easy, quick, and seriously delicious. Black beans are great in almost any form, but the real star of this recipe is the Avocado-Lime Sauce. 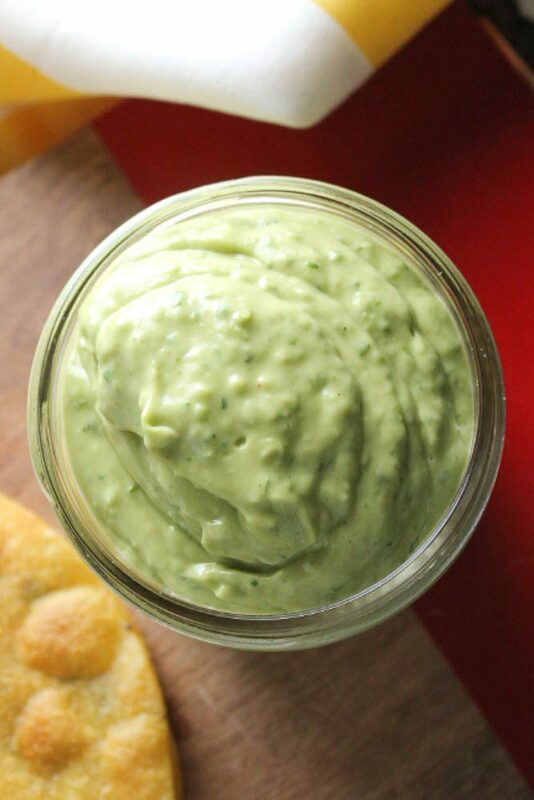 Think of it as a cross between cilantro-lime dressing and guacamole. 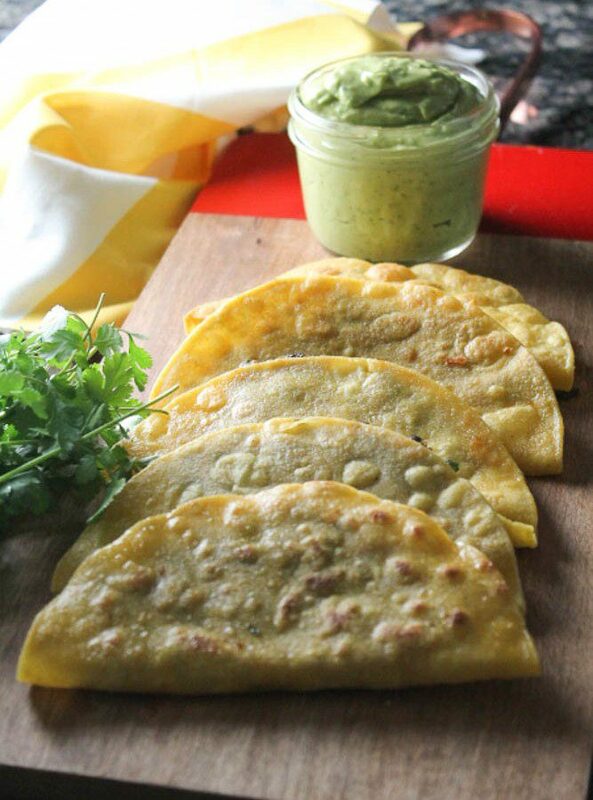 It’s absolutely perfect for dipping these tacos, or as a topping for burritos or salads. These tacos are rich and crunchy, and the sauce is packed with fresh flavors. 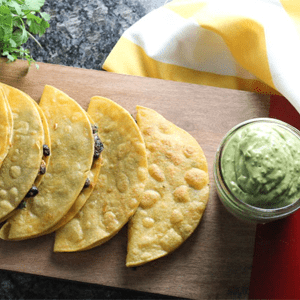 If you want to try a sour cream-based sauce, or maybe serve two different sauces, these black bean tacos also taste great with Chipotle Lime Crema. This recipe makes 12 tacos – enough for 6 servings, plus a little extra sauce. 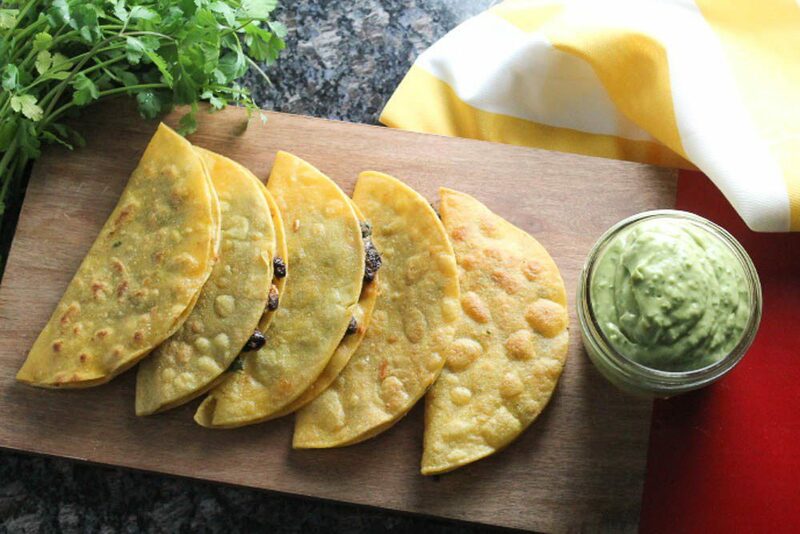 If 12 tacos is too many, this recipe is really easy to cut in half. But is there really such a thing as too many tacos? Using a spatula, carefully fold the tortilla in half, on top of itself and press down with the spatula to shape the taco. Cook 3-4 minutes, then using a spatula flip the tacos and cook an additional 3-4 minutes, until lightly browned. Continue the process until all the tacos are done, adding additional oil as the pan dries out. 1 taco – 193 calories, 9g fat: 22g carbohydrates, 6g protein. 1/4 cup sauce – 117 calories, 13g fat, 3 Carbohydrates, 1g protein.